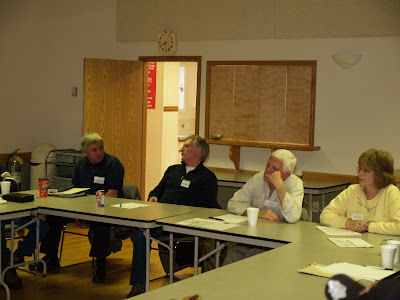 Economist Jim Schroeder explained the principles of Social Credit at the April 25 provincial board meeting of the Alberta Social Credit Party in Innisfail, Alberta. Members of the Alberta Social Credit Party, along with invited guests, where treated to a lecture in Social Credit principles at the monthly meeting of the party executive on Saturday, April 25, at the meeting room in Lau's Restaurant in Innisfail. 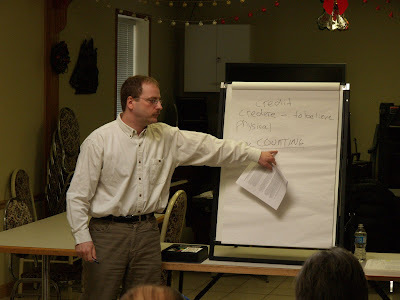 Economist Jim Schroeder from Edmonton introduced the basic concepts of Social Credit which explains how money is created and cancelled by banks in a modern economy by the extension of credit to customers. The term “Social Credit” was coined by Scottish Engineer Clifford Hughes Douglas shortly after World War I, when he discovered that a chronic shortage of purchasing power, in the form of available income to consumers, tends to develop in a modern economy. Schroeder pointed out how this shortage, or “gap” between consumers' purchasing power and the cumulative prices of goods and services available for sale arises, and that it needs to be filled with new money made available to consumers in the form of purchasing power. In the modern world this is done by banks that issue loans that need to be repaid with interest added, whereas, according to C.H.Douglas this new money, or credit, rightfully belongs to people collectively, because the expansion of the productive capacity of the economy is due to their cultural heritage and not to the bankers that are merely responsible for handing out the check books and keeping track of the money. Schroeder explained that the difference between Classical Economics (with its emphasis on Land, Capital and Labor) as factors of production, Socialism (with its focus on Labor), and Social Credit is that a society's Cultural Heritage primarily determines its productive capacity and has to be factored into the equation, in addition to Land, Labor and Capital: The tools at our disposal, like electricity, available at the flick of a switch on the wall, multiplies a person's productive capacity tremendously, compared to that of a pre-industrial age worker. The Alberta Social Credit Party came into being in 1935, during the Great Depression, when a chronic shortage of purchasing power brought about unprecedented hardships, and prompted William Aberhart of Calgary to challenge the sitting United Farmers of Alberta Government in that year's election. His party was swept into office and stayed there for 35 years. (Rimbey) The passage of the controversial land assembly bill Wednesday eliminated many of the environmental protections once afforded farmers, landowners and communities as the government sets about acquiring properties for major infrastructure projects. The new law goes so far as to authorize “the dumping of any substance” on a person’s property, prior to the necessity of having to purchase the land for a project, [Ref: Sec 3(1)(e)]. Where the old law mandated that the government had to protect the watershed, the new law bestows upon the Minister the unlimited power to “Manage Water”. The Minister lost credibility with the public when he refused to listen to the nearly 2000 Albertans who attended public meetings, sponsored by private citizens, and who unanimously called for the Bill’s withdrawal. Further government credibility was lost when the P.C. Caucus voted down an amendment to limit project approvals, to only when necessary in the “Public Interest”. BUCK LAKE, AB – April 29, 2009 – Spokesman for the fledgling Alberta Progress Party, Edwin Erickson, leaves Wednesday on a ten-day investigative tour of Finland’s state-of-the-art biomass power generation and central heating plants. Finland is recognized as a world leader in the collection and use of forestry waste and bi-products in the generation of electricity. Erickson hopes that the tour of facilities, generating anywhere from 700 kilowatts to 200 megawatts of energy, could help support a solution to Alberta’s beleaguered forest industry, while providing part of a reasonable alternative to the building of nuclear reactors to supply the province’s future electrical needs. Aside from studying the actual mechanics of the processes and the localized methods of collection of the forest materials, Erickson will be keeping a watchful eye on water usage at the various plants. Water use is becoming a contentious issue in a potentially much drier Alberta climate, and nuclear reactors are notorious for substantial use of water in the cooling process. “Aside from the obvious relevant advantages for much increased employment in the forest sector, this may present a significant opportunity for the province to move toward greener, sustainable power production, without having to resort to nuclear energy”, he says. Erickson will accompany 27 other business and community leaders from across Canada on the tour. 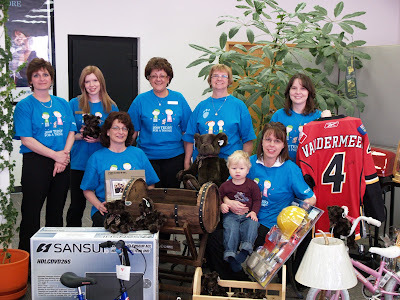 ATBFinancial in Caroline is currently conducting its annual silent auction to support the Alberta Childrens' Hospital. The auction runs from April 27 to May 8 and includes donated items like a hockey jersey signed by Jim Vandermeer, TV, BBQ's, bikes, shirts, jackets and a boat. The "Teddy for Toonie" feature is included this year also. Last year's auction raised $4,800 and the goal this year is $6,000. Money can be donated as well. 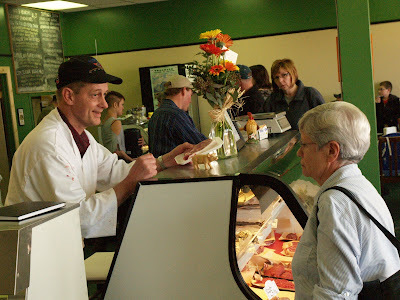 entertained an appreciative audience at the Ravenwood Farm Fresh Meats re opening event on Saturday, April 17. 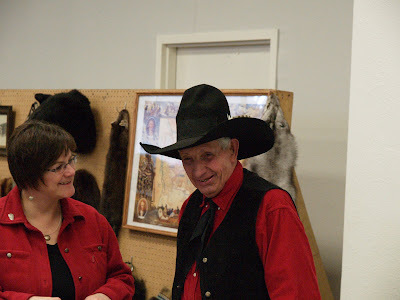 Dale "The Meat Man" Nash serves a customer at the Grand Re-Opening event in Caroline on Saturday, April 17 where people were invited to enjoy free beef-on-a-bun, Country Music by Allen Christie and associates and rides on a wild mechanical bull. It was a very busy day for the Murray and Taylor families and their associates and employees. 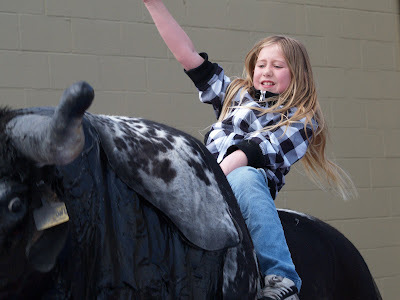 Jessica Milbury took a ride on the mechanical bull at the re-opening event at Ravenwood Meats in Caroline on Saturday, April 18. 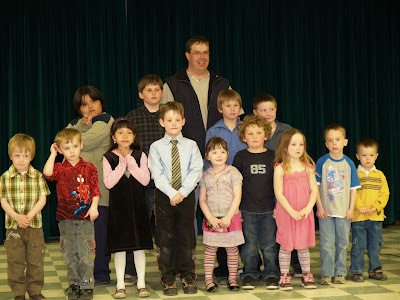 Participants in the 30 hour famine at Caroline School on Friday April 17. These students fasted for 30 hours ending with a sleep/stayover and breakfast at the school on Saturday Morning. This was done in recognition of all the people in this world that go to bed hungry, without having a choice. The famine started midnight Thursday April 16 and ended at 6am on Saturday with breakfast provided by Ravenwood Meats and Caroline Supplies. 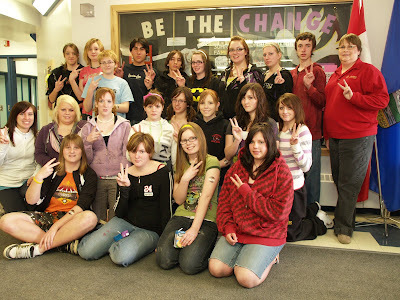 The participants were: Billi Jean Johnston, Chelsea Ververda, Cory Campbell, Kiara Price, Myranda Hensel, Kaylee Biggart, Candice Moss, Morgan Smith, Taija Graham, Katelyn Godwin, Leona Korth, Teale Spooner, Chloe Radau, Randi-Lea Masse, Ryan Shrader, Meagan Coyle, Kailey Fauville, Jazmine Spooner, Michal Turchel, Dion Roper, Crystal Benz, Nicole Fortin, Brandi Fortin. Supervisors: Nora Reilander, Kirsten Collison, Nathan Moore. 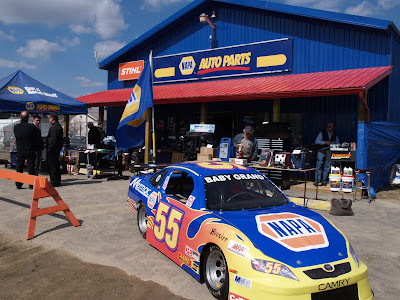 There was a lot of traffic at the NAPA Store in Caroline during its equipment and tool sale event on Thursday, April 16. In the foreground is Troy Maschke's promotional racing car, sporting a 1,500 cc Yamaha engine and capable of 180 miles per hour. The driver is strapped into the rigid steel frame which provides very good protection from high speed rollovers and tumbles. A quilt with the embedded photos and names of the teams that he coached over a twelve year period was presented to Tom Dezall at the Caroline Minor Hockey Awards. 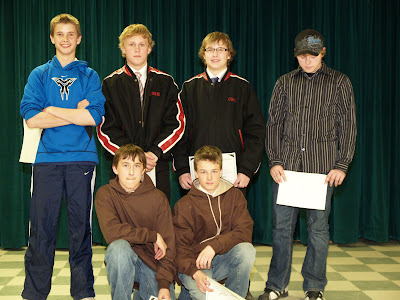 Dallas Benz (not in photo, shared Most Dedicated), Jesse Benz (shared Most Dedicated), Bradley Bouvette (not in photo), Gary Cruikshank (Most Sportsmanlike), Derrick Foesier, Jaman Gutek, Luke Hand, Tayler Harder, Braedan Jameson, Tyler Mandelin (Most Improved), Mitch Stange, Ian Vanderlinde (not in photo), T.J. Wolf, Shane Waugh. Coach: Tom Dezall. 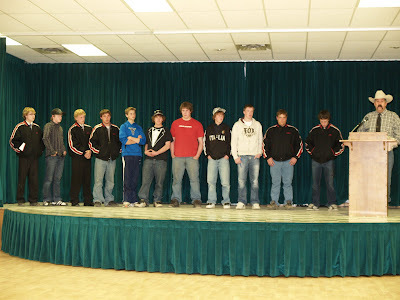 The Referees were recognized at the Minor Hockey Awards ceremony: Darren Denham, Margan Neil, Jesse Benz, Dallas Bemz, Cole Peters, Chanse Cunningham, Jaman Gutek, Jordan Gutek, Mitch Stange, Breadan Jameson, Cam Harder, Dalton Harder, Sierra Piesse, Morgan Spooner, Kayle Browning. Presented at the Minor Hockey Awards: Levi Stange (Most Dedicated), Morgan Neal, Calan Graham, Jared Jorgensen, Dallas Henneigh, John Rauch (Most Sportsmanlike), Sydney Alstott (Most Improved), Lyndsay Stange, Mackenna Westling, Cole Peters, Hayden Powell, Drey MacDonald. Coaches: Tom Stange, Bob Schellenburg, Len Larsen. Jr. Coach: Tyson Stange. 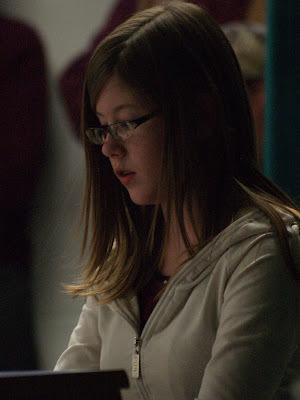 Manager: Shayla MacDonald. 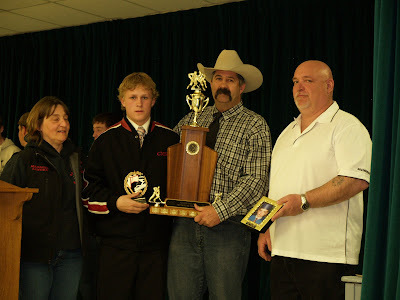 Recognized at the Minor Hockey Awards: Jolie Nafziger, Rayne Danielson, Michael Barker, Brady Hollman, Cashton McNutt, Jager Thompson, Miikka Twoyoungmen, Feather Abraham, Haley Twoyoungmen, Morningstar Twoyoungmen, Brandon Maxwell, Lane Harder, Nicholas Foesier, Jared Foesier. 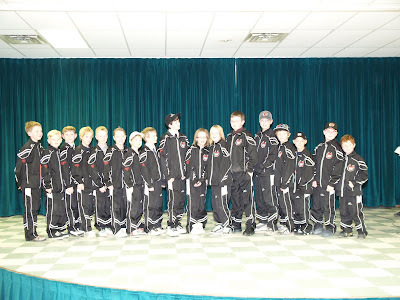 Zone 4 Champions: The Caroline Colts were recognized for their achievements this season at the annual awards ceremony held at the complex on Wednesday, April 15. 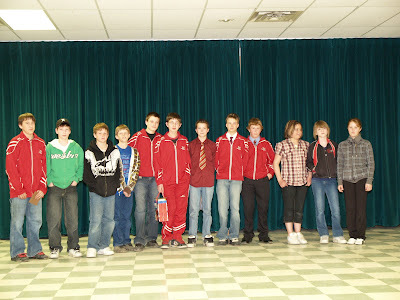 The Caroline Colts team members are: Easton Harder (Goalie and Most Dedicated), Logan Neal (Top Scorer), Cole "Hammer" Michalsky, Riley Westling, Dallas "Nitro" Johnson, Darbi Cunningham, Tanner Denham, Dylan Rauch, Andy Larsen, Denton Westling, Tristan Adrian (Most Sportsmanlike), Cody Graham, Clay Guthrie (Most Improved), Beau Alstott (Fastest Skater), Jordan Maxwell. Coach Darren Denham. Assistant Coaches: Rod Neal, Cody Haney. There is currently a big scare about a swine related flu virus (H1N1) causing a world wide pandemic. Last time it was a bird flu virus that caused a panic and resulted in some chemical companies selling a lot of vaccines to troubled governments. In the meantime, people are starving and dying from a plethora of diseases, caused by malnutrition and poverty, on a large scale, without most people blinking an eyelid. In contrast, I find it rather curious that when financial chaos looms ahead, all the “experts” continuously pat us on the back and say that everything is going to be OK. “Just keep spending and go further into debt to fix the economy”. I have spent considerable time recently looking into the workings of the world economy and the manipulations that take place in that shadowy world. It just about makes your hair stand on end: Fake money is being made out of thin air at a record pace and used to create toxic financial "products" that are not worth the paper they are printed on. The face value of these are currently estimated to be in excess of $700 Trillion, yes, seven hundred thousand billion dollars. And way back down the line, they are tied into real assets that belong to real people. So when these "I Owe Yous" come due and the contractual obligations attached to them can not be met, the ownership of real assets is jeopardized, creating havoc on Main Street. In response, our governments are pledging the support of us, the taxpayers, to bail out the crooks that made up all the fancy money, which is just another way of robbing us of real wealth and give it to those people that should be behind bars by now. There is only one possible conclusion: The people that we have elected to represent us in government are in the pockets of the people that are committing fraud on a grand scale. If you take some time, and study the relationships between the people that make up the North American Establishment, the border between Canada and the United States simply disappears. The connections are just too obvious. In practice, our “democracy” is a smoke and mirrors job because of our collective apathy. It need not be that way. as the representative of a new generation of Americans who were confronting the old-style, dirty politics of men of the sort of Nixon whom he had defeated with a tremendous display of political talent. He had behind him his history as a combatant in the Pacific and of his adroit pen. His life continued to be dramatic, like a shadow that accompanied him at all times. On the strength of wounded pride, he again succumbed to the idea of invading us. This brought on the October [Missile] Crisis and the most serious risks of thermonuclear warfare that the world has ever known until the present day. He emerged from this test as an authority thanks to the mistakes of his chief adversary. He seriously wanted to talk with Cuba and that’s what he decided to do. He sent Jean Daniel to talk with me and return to Washington. His mission was being carried out at that moment when the news of President Kennedy’s assassination arrived. His death and the strange way in which it was orchestrated and carried out, was truly sad. Later I met close family members who visited Cuba. I never mentioned the unpleasant aspects of his policy against our country, nor did I refer at all to the attempts to eliminate me. I met his son when he was an adult, who had been a young child when his father had been the president of the United States. We got together as friends. His own brother Robert was also assassinated, multiplying the drama shadowing that family. At the distance of so many years, information arrived about a gesture that impressed me. These days, while so much was being said about the lengthy and unfair blockade of Cuba in the upper echelons of the continent’s countries, I read a news item in Mexico’s La Jornada: “At the end of 1963, the then Attorney General Robert F. Kennedy sought to overturn the ban on travel to Cuba and today his daughter, Kathleen Kennedy Townsend, wrote that President Barack Obama ought to take this into account and support legislative initiatives that would allow all Americans to travel to the island. “Robert Kennedy claimed that the prohibition violated American freedoms. According to the document, he affirmed that the current restrictions on travel are inconsistent with traditional American freedoms. “…That position was unsuccessful inside the Lyndon B. Johnson administration and the State Department decided that to suspend the restrictions would be perceived as a softening of the Cuban policy and that they were part of the joint effort made by the United States and other American republics to isolate Cuba. Americans, most of whom are not free to go. “Kathleen Kennedy writes that just as Obama found out at the summit meeting last week-end, Latin American leaders have adopted a coordinated message on Cuba: the time is here to normalize relations with Havana…By keeping on trying to isolate Cuba, they essentially told Obama, Washington has only succeeded in isolating itself. A worthy article by Kathleen Kennedy! The new buzz-word around the province is “purple kool-aid”. 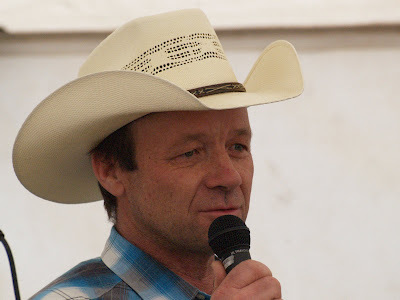 Alberta’s landowners and other opponents of the contentious Bill 19 and other undemocratic legislation are using the term to refer to Progressive Conservative MLA’s drunken support of the Bill. The “purple kool-aid” is purportedly the potion imbibed by all PC caucus members upon taking office with the party. Once ingested, the potion seduces even well-meaning party newcomers to immediately and completely fall under its trance. Case in point: yesterday in the Alberta Legislature’s Committee of the Whole on Bill 19, a motion was put forth by opposition MLA Brian Mason to add the words “in the public interest” to the Bill. Indeed, one would naturally assume that those words would, without question, be part of any piece of legislation bearing such huge effect on the people of this province. However, such did not turn out to be the case. After discussion was closed on Mr. Mason’s motion, PC MLA’s voted unanimously AGAINST writing the words “in the public interest” into the context of the Bill! Those MLA’s included rural PC’s Diana McQueen, Ray Prins, Robin Campbell, Doug Griffiths, Jack Hayden (Minister of Infrastructure), Ted Morton (Minister of Sustainable Resource Development), Mel Knight (Minister of Energy), George Groeneveld (Minister of Agriculture and Rural Development), Ray Danyluk (Minister of Municipal Affairs), Rob Renner (Minister of Environment), Doug Horner (Minister of Advanced Education), Richard Marz, Frank Oberle, Evan Berger, Wayne Drysdale, Jeff Johnson, and Arno Doerksen. From the Gallery, effects of the “Purple Kool-Aid Syndrome” were quite apparent, and it was obvious that some Members were even suffering from an overdose. Jack Hayden and Frank Oberle, in particular, were showing signs of running off at the mouth, while others barely looked up from the movies on their laptops, or awakened from their slumber, to mumble a foggy “No” in disapproval of the motion. Such is the sad state of democracy in our Alberta – it’s enough to drive a person to drink (anything but Purple Kool-Aid)! 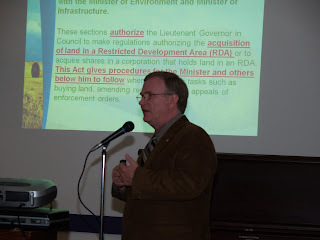 (RIMBEY) In an attempt to address the public’s concerns that the government could use Bill 19 “The Land Assembly Area Act”, to expropriate land for private interests; on Tuesday the NDP introduced an amendment to insert the words “Public Interest”, into the definition of a project classified under Bill 19. The amendment would have required that projects (lands bought or expropriated under Bill 19) be necessary in the public’s interest. The amendment failed! Among the PC MLAs that voted against the amendment to limit the definition of projects, to the “Public’s Interest” was Ray Prins of Lacombe/Ponoka, Diana McQueen of Drayton Valley/Calmar, Wayne Drysdale of Grande Prairie/Wapiti, Richard Marz of Olds/Didsbury, Frank Oberle of Peace River, and Minister Jack Hayden of Drumheller/Stettler. A full list of the MLAs that voted against the “Public’s Interest” are reprinted below and can be found in Tuesday’s April 21st Hansard. 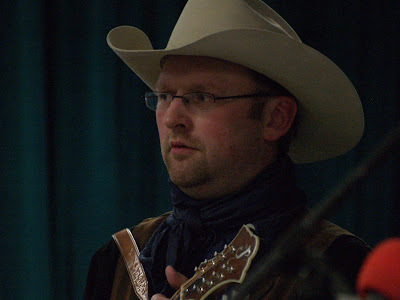 Joe Anglin, the Alberta Green Party Leader watched from the gallery as the amendment was rejected and said, “This is a clear contradiction of the public statements given by the PC caucus in defense of Bill 19 that projects would not be used to accumulate land for private interests. When it came down to a vote, the evidence is irrefutable, the PC caucus voted unanimously to reject inserting the words ‘Public Interest’ into the Bill. Section 3(1)(a) of Bill 19 specifically grants permission to approve any kind of use once the government takes control of a property. By rejecting this amendment the new law will not have any limitations on why property can be forcefully taken from a citizen”. Ady, Fritz, Marz, Benito, Griffiths, McQueen, Berger, Groeneveld, Morton, Bhardwaj, Hayden, Oberle, Blackett, Horne, Prins, Brown, Horner, Renner, Campbell, Johnson, Rodney, Danyluk, Johnston, Sarich, DeLong, Knight, Webber, Doerksen, Liepert, Woo-Paw, Drysdale, Lukaszuk, Zwozdesky, Elniski. In economic news, Bloomberg News has filed a lawsuit to force the Federal Reserve to disclose information about the $2 trillion it has lent to financial institutions. The Fed has refused to name the borrowers or the amounts of loans. The biggest recipients of taxpayer aid made or refinanced 23 percent less in new loans in February than in October. Goldman Sachs reduced lending by 50 percent. Is there one characteristic that we humans have in common with just about anything that is ”alive” on this wobbly rock that dances around the sun? Something that would explain a lot of things that we do to each other on an individual and collective basis? I think so and it has been called the “territorial imperative” by some writers. It applies to all life and its occupation of space. Just ask the weeds in your garden, especially chicken weed. In 1883 Friedrich Nietzsche coined the phrase “Wille zur Macht” (Will to Power) in Thus Spoke Zarathustra and in so doing embedded the territorial imperative in mainstream modern literature. This may seem like a rather abstract observation, but we are directly affected by struggles for territory and power in our everyday lives. And we have developed ways of dealing with such issues within civilized society: Rather than getting shot if you park you car in a space where it is not supposed to be, you get a parking ticket to discourage you from turning it into a habit. The advantages of an enforceable legal system are obvious when you consider the lives of native people in Borneo, prior to their contact with civilization: The tribes used to hide from each other in inaccessible mountain areas, out of fear from attack by neighbors, rather than availing themselves of fertile river valleys nearby, where they could all have had a good life with abundant food at their finger tips. Collectively, we have come a long way in today's world, but the underlying principle of “control of territory” is as active as ever in ways more subtle than most people realize and can be summed up in one sentence: “If you can make a person believe he is a peasant, without any power, then that is exactly what he is and will behave accordingly”. If you can make a person believe that his main goal in life should be to have a big house and a big car and all the toys, and provide the interest bearing credit to acquire those toys, then he has become a peasant at the whim of your will. The next step is easy, when you want to fight a major war to expand your territory and need a willing soldier, you create a situation where he has trouble finding work to pay his loans and feed his family. And when the level of frustration has reached a certain point, you offer him a well paid position in the armed forces, convince him of the nobility of his mission, and send him on his way. So today, as in the past, the majority of people are the victims of the territorial ambitions of a few individuals with the power to manipulate them. And the legal system is being turned into a tool for oppression. Is there another way? Jo-Ann Katona bakes some delicious pies for patrons of the in-store cafe. Cake Decorator Roxanne Franczak also uses the commercial kitchen in the store located on the west end of Caroline. 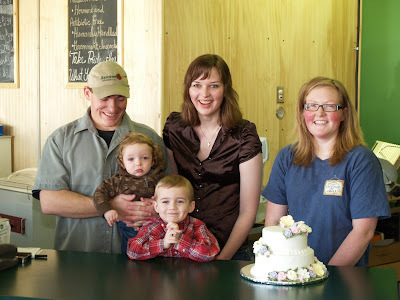 Mark and Tamara Taylor, helped by children Nathan and William, have added another service to their business: Sweet Delights owner and Cake Decorator Roxanne Franczak now operates an in-store bakery for the benefit of customers. 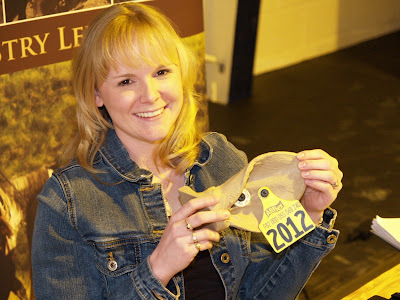 Shayna Dodds from the Canadian Cattle Identification Agency demonstrated the new cattle identification tags at the Cows and Creeks event in Caroline last Wednesday, April 8. Gary Lewis from Clearwater County demonstrated the county's well chlorination unit to interested onlookers. 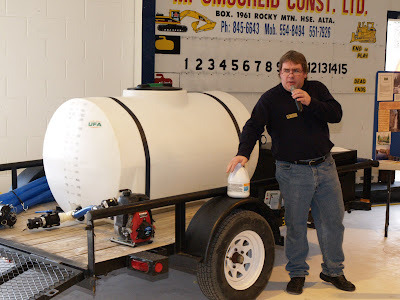 This unit can be rented at low cost from Clearwater County to ensure correct amounts of chlorine is used on a well so as to get rid of undesirable micro organisms. Border Paving Ltd. of Red Deer hosted a public meeting at the Crammond Hall on Monday, April 6 about their gravel pit proposal for a location some 4 miles east of the Crammond Corner on Highway 22. Attending from the company were: Mark Maciejewski, Thor Thordarson, Vic Walls and Kate Walls. Some 50 community people attended the meeting. A proposal by Border Paving of Red Deer to establish a Gravel Pit and Hot Asphalt Mix operation some 4 miles east of the Crammond corner on Highway 22 was discussed at some length at a public meeting in the Crammond Hall on Monday, May 6. Four people from the company were in attendance to field questions from some 50 local residents about the proposal. The “Open House” meeting had been mandated by Clearwater County as part of the process of applying for a development permit. The increased traffic and noise in the area was a major concern for those present and a sense of frustration was expressed over the company's difficulty in predicting the amount of disturbance that would happen due to uncertainty over the number of contracts the company would get in the area. Vic Walls from the company fielded most of the questions from the floor and noted that Crammond Road would not be used for gravel hauling in the summer time due to its unstable foundations. Smells from the hot asphalt operations were also discussed and Walls noted that, regrettably, some degree of nuisance was associated with a gravel/asphalt operation. The meeting went on for a good couple of hours and started on a fairly aggressive note with a more “mellow ending”. This is a call to action to STOP THE PASSAGE OF BILL 19. We need your help to defeat this legislation! Contact your county councillors, city councillors, and/or town councillors IMMEDIATELY. Tell him or her, to OPPOSE, AND MAKE KNOWN THEIR OPPOSITION TO Bill 19! MAKE IT CLEAR that if they do not oppose Bill 19 you will not vote to support them in the next round of municipal elections and you will work to unseat them from their elected position. DEMAND that your councillor contact the local MLA and Minister of Infrastructure, Jack Hayden, TO CONVEY YOUR OPPOSITION TO BILL 19! Bill 19 amendments will be DEBATED on Tuesday, April 21st – at 2:30 PM. COME TO THE LEGISLATURE on Tuesday, April 21st at 12:30 PM, and SHOW YOUR opposition to BILL 19. If you are interested in attending the Legislature to hear the debate please show up at the legislature by 12:30 pm on Tuesday, April 21st and let us know you want to attend. Why Is the Minister of Infrastructure Lying to Alberta Landowners? On March 2, Alberta Infrastructure Minister, Jack Hayden, introduced Bill 19, the Land Assembly Project Area Act, to the Legislature. 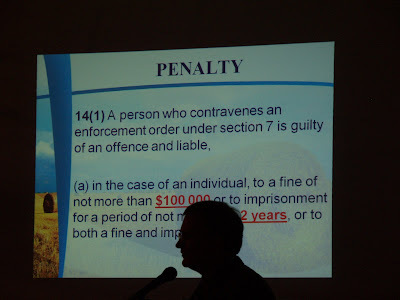 The Bill follows the infamous Bill 46 as the next step in removing property and democratic rights from Alberta’s citizens and landowners. 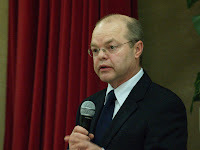 At a number of public meetings sponsored by private citizens and community groups across the province (in which only ONE among almost 900 people polled in favour of the Bill), Minister Hayden and many of his associate PC MLA’s have been spreading blatant misinformation about the contents of the Bill. 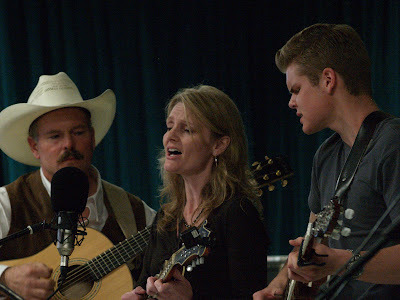 On April1, the Minister was a guest on the province-wide Rutherford show on Radio QR77 in Calgary. Jack Hayden: No! Power lines are not included in this, and this is one of the big confusing factors that are out there. This is for public infrastructure: transportation and utility corridors. There is legislation in place and a process for transmission of power to be put in place, and that’s all private. This has nothing to do with that. Dave Rutherford: Does this affect pipelines, private company pipelines, etc? J H: No, it doesn’t. J H: No, not at all. b) a project to confine to a corridor of land pipelines, pipes or other conduits, poles, towers, wires, cables, conductors or other devices, including any ancillary structures. The discrepancies can hardly be more clear, and this is only one example of the huge amount of misinformation coming out of the mouths of Minister Hayden and his entourage of MLA’s. The question begs an answer: Why is the Minister of Infrastructure Lying to Alberta Landowners? What is really going on here? Amy Goodman interviews people that the mainstream media would never talk too. More than 300 people came to enjoy the 2009 Rhythm and Rhyme Fest at the Caroline Complex on Sunday, April 5. It was an all day event organized by Caroline Musical Productions and involved performers and spectators from far and wide. 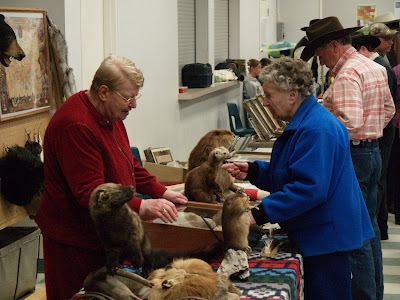 Music and poetry reflecting our western heritage was in the front seat, reinforced by a Metis trapping display. 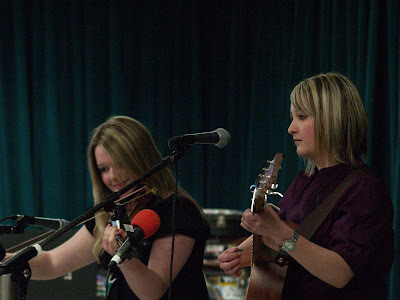 A long lineup of artists, well known across the west country was there, along with young local talent. A most enjoyable event all around. ALLEN CHRISTIE WAS THERE looking after the sound system, as well as singing, at the Rhythm and Rhyme. STRANGE SPRING These artistic icicles, hanging down from a roof at Crammond, attest to the freezing and thawing that has happened this "spring". 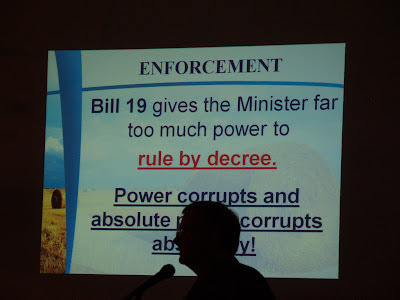 The troubling thing about Bill 19 is the manifest intent of that proposed legislation to take powers that used to belong to the courts and put them into the hands of elected officials, such as “the minister”and give him or her the ability to dictate what you or I should, or should not, do. This was made patently clear by Joe Anglin at the April 8 public meeting in Leslieville. 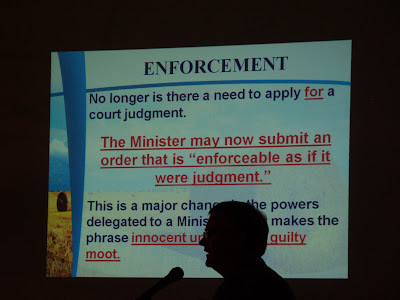 And on the same night some 250 people reportedly showed up at a similar meeting in Innisfail to express their concerns over the proposed legislation. There is a pattern here; I remember a federal bill that was tabled before the last federal election which dealt with food “safety”, including herbal food supplements, where government officials again were given dictatorial powers to search premises, etc. We should do well to remember that bureaucrats, not politicians, generally write new bills. And where do the initiatives for these bills come from? I would suggest from vested interest groups with connections into the political party of the day and the bureaucracy. That it why we need to be on guard against initiatives that rob us of our rights and freedoms. We have to exert constant pressure against such attempts and hold our elected politicians fully responsible for their choices. Alberta has a sick political system where arrogance is rampant and where there is a total dependence upon oil and gas revenues, and regrettably, revenues from casino and VLT gambling for non profit groups. People from these groups spend nights in casinos to create a sense of legitimacy to the gambling that causes so much hardship for gullible people and their families. I think our forefathers would turn in their graves if they realized what is going on today. We are on a slippery slope to a place that is not very nice. The spirit of independence that formed the foundation of The West is wrapped up in a blanket of apathy. It needs to wake up. 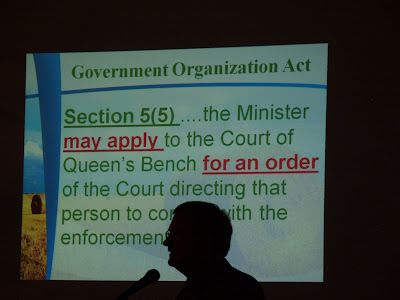 The infamous Bill 19, presented to the Alberta Legislature for first reading by Infrastructure Minister Jack Hayden some time ago, is now being raked over the coals by community groups spearheaded by activists Joe Anglin and Edwin Erickson. 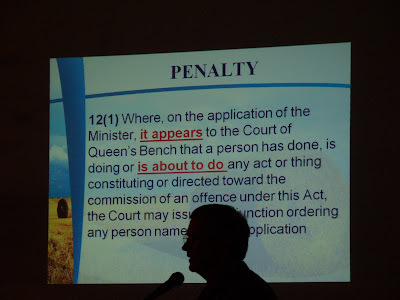 The bill seeks to give the same minister unprecedented powers over Alberta landowners in order to pave the way for unspecified developments. 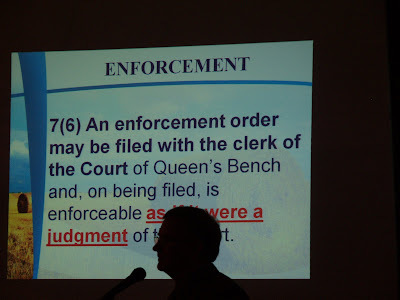 As demonstrated by Joe Anglin in the Leslieville Elks' Hall on April 8, to about 40 people, the bill seeks to replace previous legislation and transfer the power of the courts into the hands of a public figure with no qualifications to deal with such matters. This bill should be a red flag for Albertans because it shows that special interest groups have infiltrated the Government of Alberta. 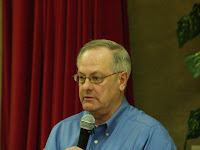 Joe Anglin presented his case against Bill 19 at the Leslieville Elks Hall on April 8. The Annual General Meeting of the Rocky Rural Electrification Association held in the Leslieville Community Hall on April 9 was attended by 91 people than enjoyed a catered meal before the meeting opened. Chairman Earl Graham and Manager Jerry Reglin on developments and activities over the course of 2008 as outlined below. The REA Financial Statements for 2008 were presented by a representative from Hawkins Epp Dumont LLP of Stony Plain, Alberta who noted that the association was in good financial shape with assets around $16 million. 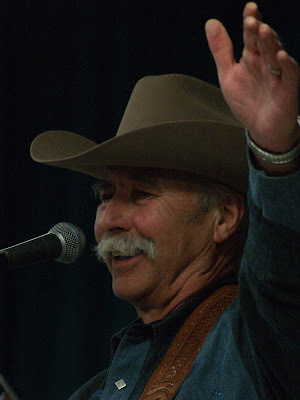 The association has a total of 3,285 member services and owns the wires and poles providing electricity to rural residents in the Clearwater County area. It is a non profit association which buys energy on the open market and looks after the maintenance and operation of its power distribution system. The cost to consumers is lower than those charged by commercial organizations to their customers. Association members elect the board and are the owners of the association's assets. 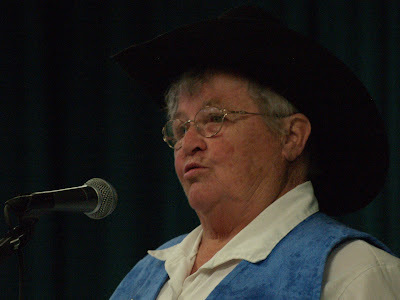 Earl Graham is the Chairman of the Rocky Rural Electrification Association and also a Clearwater County Councillor. The Rural Electrification Association owns and manages electric power poles and wires supplying electricity to farm steads and other rural customers who are the legal owners of the association. It is a non profit organization providing electricity at cost. The Rocky REA enjoyed another successful year in 2008. The administration and staff of your REA continue to do an excellent job of maintaining the existing distribution system while at the same time constructing additional lines to our new members. These functions have been performed on a cost effective basis while compiling an excellent safety record for members and employees. The Rocky REA now has a member services total of 3,285, an increase of approximately 60 member services in 2008. This steady growth in membership continues to build on the solid foundation that has made your REA the healthy organization that it is today. Rocky REA members continue to sign stable rate contracts at a very competitive price. The current stable rate contract offered at 7.3 cents per kwh ends on December 31, 2010. There are certain members that will see their stable rate contracts end on December 31, 2009. These members may elect to enter into a new contract at that time. Our energy division, Rocky Rural Power, has entered into very inexpensive forward hedge purchase contracts, providing energy for approximately 80% of our load for the next five years. It is these long term low purchase prices that enable Rocky Rural Power to offer our members such competitive stable rate contracts. The influence of the market price of electricity continues to impact on the Government Regulated Rate Option (RRO). Market prices prior to July 1, 2008 accounted for 40% of the RRO rate. This was subsequently increased to 60% by the Alberta Government in compliance with the RRO regulations. The remaining 40% of the RRO rate formula is based on our excellent forward hedge price. Beginning July 1st of 2009 the RRO will be based on 80% of market prices and only 20% of the forward hedge price. This will cause greater fluctuations in the RRO rate. The RRO has a somewhat complicated pricing structure, which uses the forward price of natural gas in the calculation of the RRO rate. The RRO regulation specifies that each month’s RRO rate be established forty-five days in advance. The RRO rate has been, on average 1.5 to 3 cents per kilowatt hour higher than our retail stable rate resulting in large savings for those members who have entered into a stable rate contract. The Board and administration are examining the increasing number of AMR/AMI options that are rapidly emerging in this field with the goal of finding the one that provides the closest fit for our members. In October, Jerry Reglin was appointed by the board to the position of General Manager. Jerry brings a strong business background to the REA. He is a Certified Management Accountant with a Bachelor of Management degree at the University of Lethbridge and an Operations Management diploma at the British Columbia Institute of Technology. In accepting this position, Jerry, wife Debbie and daughter Elise fulfilled prior plans to move to the Rocky Mountain House area, having purchased property here two years ago. The board wishes to extend many thanks to Lyle Johnson who fulfilled the role of acting manager until the board could find a suitable candidate and Neil Godlonton who continues to provide valuable consulting services on certain special projects. In conclusion, the Board of Directors would like to express their thanks and appreciation to the wonderful staff we now have. It has become cliché that an organization’s greatest assets are its employees. It is not a cliché at the Rocky REA. The board wishes to convey how fully they understand that the great success we continue to experience is a direct result of the skill and dedication of our staff. I would also like to recognize the contribution that the board of directors has made to the Rocky REA. The cooperation, support and experience of this group of leaders have made my first year as chairman enjoyable and productive. The upcoming year will, without doubt, present the REA with continued challenges and opportunities. Given the track record and abilities of this team of board members and staff, we can move into the future with confidence and positive expectations. 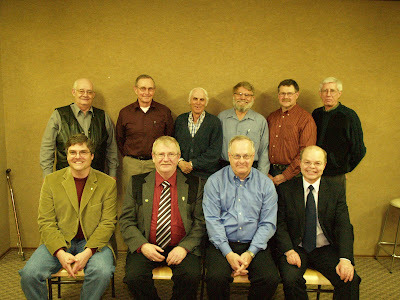 The report was delivered at the Annual General Meeting of the Rocky Rural Electrification Association meeting in Leslieville, Alberta on Thursday, April 9, 2009. I would like to extend a warm welcome to all that have joined us here this evening. Our Chairman, auditor and guest speakers are sharing a significant amount of information within their reports. To avoid duplication, I will limit this report to my first impressions of the Rocky REA, a brief summary of 2008 operations and some of the major challenges facing us in the future. Being the new guy on the block, I would like to provide my initial impressions of working within a local cooperative. What I have discovered is a tremendous set of advantages. Firstly, the most obvious one is that REA’s operate on a cost basis. Investor owned power companies must produce a profit margin for shareholders. On the other hand, the Rocky REA provides safe and efficient service for its members at rates that recover current year operating costs and set aside funds for capital replacement and growth, without the additional burden of a profit margin. This enables us to provide you, the member/owners of the REA with very competitive rates for high quality service. Secondly, the Rocky REA operates solely in the local area. We do not support a head office outside of the REA boundaries. Our employees live and work here. In so doing, they contribute to the support of the local community and economy. In addition, a significant portion of the REA goods and services budget is spent in the local economy. Thirdly, the board of directors and many of the employees are REA members, which automatically gives them a vested and personal interest in the success of the organization. In contrast, large investor owned power companies spend much time and resources attempting to create a sense of ownership in their employees in order to enhance performance. REA’s do not have to create a sense of ownership; the people that serve this organization in most cases are member/owners. Fourthly, the greater network of REA’s in Alberta is also cooperative in nature. The Rocky REA is a member of the Alberta Federation of REA’s that represents the interests of REA members throughout the province. The head of this excellent organization is our own Merv Rockel, a director of Rocky REA and a leader at the provincial level. The final observation I will make about the REA structure concerns the cooperation between individual REA’s. Investor owned power companies will do their best to conceal information from each other in an attempt to gain the upper hand, force the competition out and ultimately “corner the market”. In the REA world, there exists a spirit of cooperation and mutual preservation. Trust is established, information is shared and multiple REA’s benefit from the sharing of cost saving measures, improvements to operational methods and even in the recruitment of personnel. Much of the 2008 operational results have been addressed in Chairman Earl Graham’s report. 4.completion of a new consolidated Compliance Plan with subsequent approval from the Market Surveillance Administrator. This plan demonstrates our compliance with provincial regulations requiring that our members have customer choice regarding retail energy options. 5.continued strong financial results; these will be presented by our Auditor this evening. Suffice it to say that we have achieved an excellent cash position at a time when the watchwords in the press include such phrases as “financial crisis”, “credit crisis” and “liquidity concerns”. As you will see, the Rocky REA has been able to handle current year operational expenses while retaining earnings that will be required for future capital replacement and growth and provide a hedge against the uncertainty surrounding future operational costs. The majority of power produced in Alberta comes from coal powered generators. The impact of carbon taxes and the cost of sequestering carbon may lead to higher electricity rates in the future. Your REA will continue to keep watch over future hedge prices to ensure that long term costs are kept within reasonable limits. Remote as it may seem, should we experience a natural disaster such as a forest fire or extreme storm that incurs damage to the majority of our distribution system, the REA would be faced with extremely large replacement costs. To mitigate the possibility of fire damage we carry out a systematic program of controlling the build up of vegetation in the proximity of the system. In addition we maintain a Deposit Reserve specifically for the purpose of capital replacement and maintenance of the distribution system. Like nearly every industry today, the electricity industry faces the future problem of replacing many employees that were born in the baby boomer generation (1946 – 1964). The Rocky REA will not be exempt from the far reaching impact of the retirement of this generation of workers and board members as well. Strategic planning in this area has become essential to ensure the long term viability of the organization. In conclusion, I would like to extend my thanks to the staff and board of directors for the support I have received in this challenging position. As indicated earlier, every person in this organization takes a personal stake in the overall success of the Rocky REA and that has been particularly evident in the assistance I have received. I am very pleased to be associated with this team. Democracy Now is a grass roots American media network. At this time the subject of Bill 19 is popping up all over Alberta and a public meeting is planned for 7:30pm at the Leslieville Elks Hall this Wednesday, April 8. Another one is planned for Innisfail on the same night, where Infrastructure Minister Jack Hayden is supposed to be present. I have been involved in organizing the Leslieville meeting and invited Ty Lund to come along. Unfortunately he is unable to attend due to a prior personal engagement in Edmonton on Wednesday. However, I did have a telephone conversation with him on the subject of Bill 19. From the government perspective, if I got it right, the bill (called “Land Assembly Area Project Act”) is supposed to give land owners a “heads up” on proposed developments that will affect their lands. Ring roads around cities have been mentioned. That is meant to be an improvement on the current situation where land can be purchased or expropriated by the government without any forewarning. But is it? The bill, as it stands (check it out for yourself on the internet), basically says that the Lieutenant Governor in Council can do exactly what he pleases and, on top of it all, make regulations to please himself even more, as he sees fit, to deal with particular situations that may crop up. And those regulations don't exist at this time when the bill is before the legislature. It is like writing a blank cheque and signing it! The other thing that is troubling is that once a “Land Assembly Area” has been declared, people whose lands are included in that designation are left in limbo and have rules imposed on them as to what they can do with their lands. After all the fuss about the bill, the Government has now proposed amendments designed to address peoples' concerns (a summary of which can be found on http://helgenome.blogspot.com) that among other things are kind enough to offer people “fair market value” for their lands. What is that? What is the market value of a piece of land with a cloud hanging over it? With restrictions as to how it can be used? These people may have lived for several generations on their land and have no intention to sell out. Yet they are being asked to “up and leave” to make room for somebody else, (more than likely Big Energy) without fair compensation. What kind of justice is that? Come and find out on Wednesday at Leslieville. Joe Anglin will be there. I don't know if any of Stelmach's puppies will be game to show up. Ty Lund didn't know either. complete consultations and make a decision whether to approve the project area. to approve a proposed project area. party to determine the price. Landowners will be able to appeal the decision. landowners by the Expropriation Act will apply. (b) by striking out subsections (3) and (4). registered owners of the land being added and of any land adjacent to the land being added. registered owner made the request under subsection (1) or as at such other time as the parties agree on. exercise the powers given to it pursuant to section 28 of the Expropriation Act. Court of Appeal and section 37 of the Expropriation Act applies to the appeal. project, the Crown may acquire the land by purchase or expropriation. D Section 13 is struck out. Border Paving Ltd. of Red Deer is proposing to establish a sand and gravel operation on the North West quarter of 30-35-04-W5M which is located about 4 miles east of the Crammond corner on Highway 22 south east of Caroline. Border Paving will be hosting an Open House about the proposal in Crammond Hall at the intersection between Highway 22 and the Crammond Road this coming Monday, April 6, from 7pm-9pm. This is the first step in a process to obtain a development permit from Clearwater County. Inquiries can be directed to Thor Thordarson at 403 343 1177. The G20 Photo Op is just that. A way for world "leaders" to parade in front of cameras to boost their egos and give them and the audience an illusion of their power. The agenda is very simple: A massive transfer of public wealth into the web of the Word Spider which controls the IMF and other large banking institutions. And it has all been arranged long before the advent of the conference. Other countries need to take counter measures by creating their own reserve currency for mutual support. Otherwise the IMF will pillage their economies like they are doing to their existing debtors. At its regular council meeting on Tuesday, March 17, the Village Council appointed Rick Foesier to the position of Battalion Fire Chief for the Caroline Fire Department. This was done following the resignation of Caroline Fire Chief Patrick Blowers. All councillors except Van Dijk were present at the meeting along with CAO McKinnon. An appeal has been registered against the Municipal Planning Commission's conditional approval of an application to establish a youth center in Caroline by the Rocky Youth Development Society. A commercial building on the west end of the village, on the main thoroughfare, is the proposed venue. As this issue has provoked a great deal of local interest, CAO McKinnon suggested that Council appoint previous Village CAO Mike Haugen to the position of Interim SDAB Secretary as the hearing will be a “quasi judicial” one. A motion to this effect was carried. The hearing will take place at the Caroline Complex on Thursday, March 26 at 9:30am. Council gave first reading to a proposed amendment to the Village Utility Bylaw (#36/07) for an across the board increase in charges for water, sewer and garbage services of 20%. Included in the proposed bylaw change is the intention to change billing periods from bi-monthly to monthly. The 2009 Village Budget requires the increase in order to account for inflation as billing rates have been flat for several years. Two more readings are required to bring the changes into effect. Mayor Cudmore, reporting from the Library Board, said that the board had declined a request to rent the library out for meetings. The book club is exempted from this decision. An old magazine rack from the library is now available. 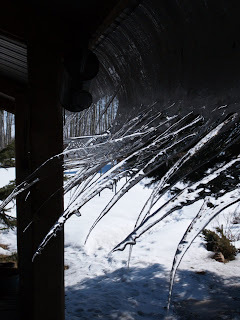 There are still some frost heaving problems by the front doors of the library. Deputy Mayor Nielsen said that the recycle week will begin on May 23 in Rocky this year. People can bring in their unwanted articles and pick up other peoples' unwanted stuff as they please. Last year's event was very successful with very few things ending up on the dump. The Rocky Solid Waste Authority will arrange to pick up articles from Caroline to bring to the recycling tent in Rocky. Councillor Pryor, reporting from the West Country Drug Coalition, presented copies of the newly released brochure “Take Charge” which provides advice on how to deal with drug problems. This is a resource pamphlet with an emphasis on self direction. Pryor also noted that the Clearwater Boys and Girls Club had given a report to the FCSS Board. McKinnon, having looked into the idea of providing village residents with trees for their lots said that shrubs might be more appropriate because of high maintenance costs of mature trees. He said that Village office staff had been paid overtime in order to get financial information ready for the 2008 audit of the Village's books. This was done in order to reduce the size of the audit bill. A review of the Village's Curfew Bylaw #532 was tabled. The bylaw states that children 16 years of age or younger are not to be in public, without proper guardianship, between 11pm and 6am. Councillors felt that this bylaw should only be enforced “when things go wrong”. McKinnon had been led to understand that there may be federal funds available for to install water meters in the village, so this issue is on hold for now, pending more information. 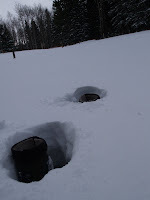 The goal, however, is to have meters installed by the end of 2009.